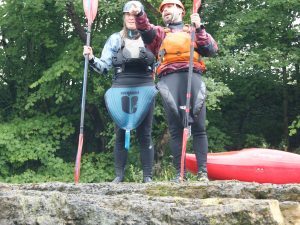 Paul Scarborough is proposing to run this River trip as an introduction to Gentle, moving Water for anyone who has undertaken the Beginners Course at the Club and is comfortable on the White Water sections at the Club. Usual paddling kit, wet suits – no swim shorts, helmet, Cag top, Buoyancy aid, sturdy boots or trainers that you don’t mind getting wet or muddy, change of clothing, packed lunch, Cash ( there`s probably a café stop at somepoint). We will need Car Drivers, Lift Givers and a team of experienced paddlers to help Paul out on the day with Safety and guidance. Email only to events@halifaxcanoe.org.uk stating if you have transport or need a lift and what kit you need to borrow.